Here is another Autumn / Fall time tutorial for your pleasure. We think these are just adorable, and would be an amazing addition to any household or office desk perhaps? What do you think? 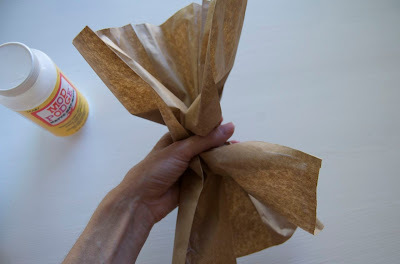 These come from Matsutake's blog and the step by step instructions sound like they couldn't be any easier to implement. Made of three of my favorite things: Mod Podge, yarn pom poms, and trash. Yay! 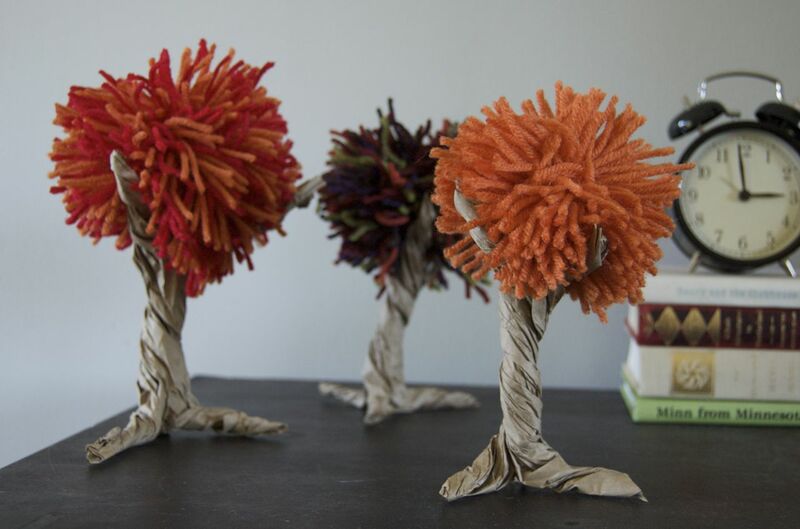 They're little Autumn trees made out of old crumpled lunch sacks. First, cut off the bottom of the bag, then cut it open so it's a flat rectangle. Next, cut slits where I drew the dotted lines. Now brush the entire surface with a layer of Mod Podge. I watered it down just a tiny bit. Now sort of bunch it up in the middle. 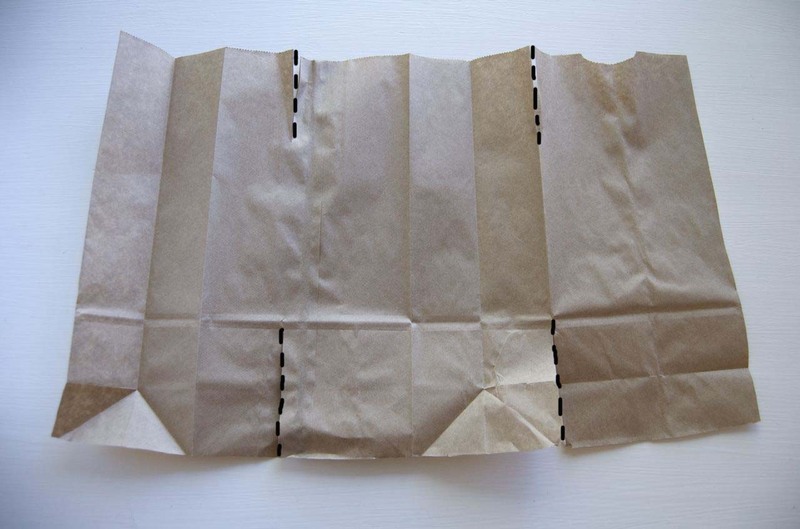 And separate out those strips at the top where you snipped it. Gently start twisting. And twisting. Twist the trunk. Twist the branches. 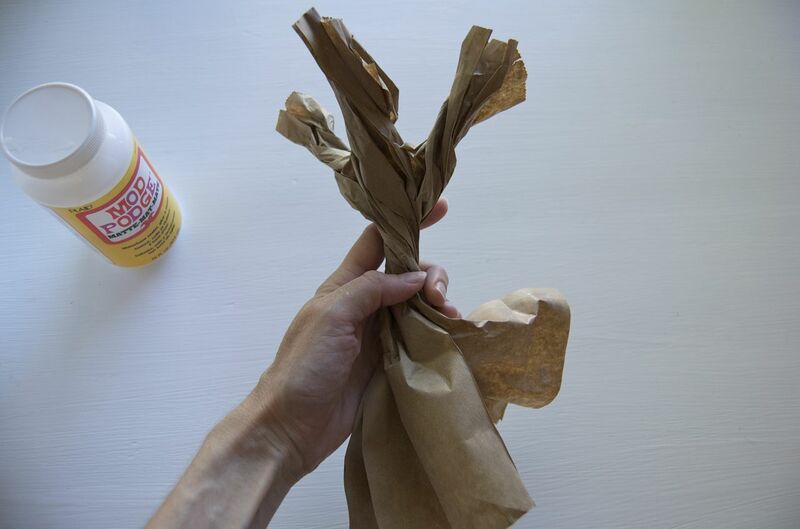 Twist the roots. 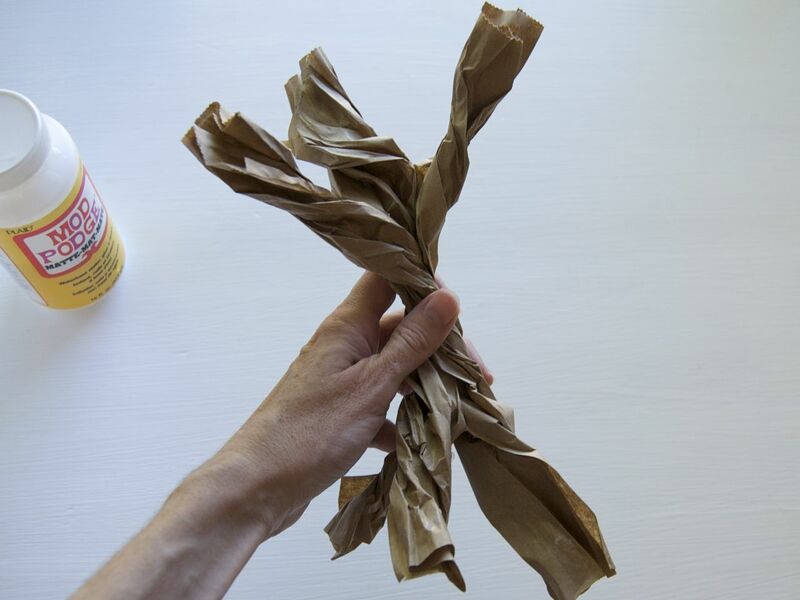 Keep twisting until it looks like a tree. 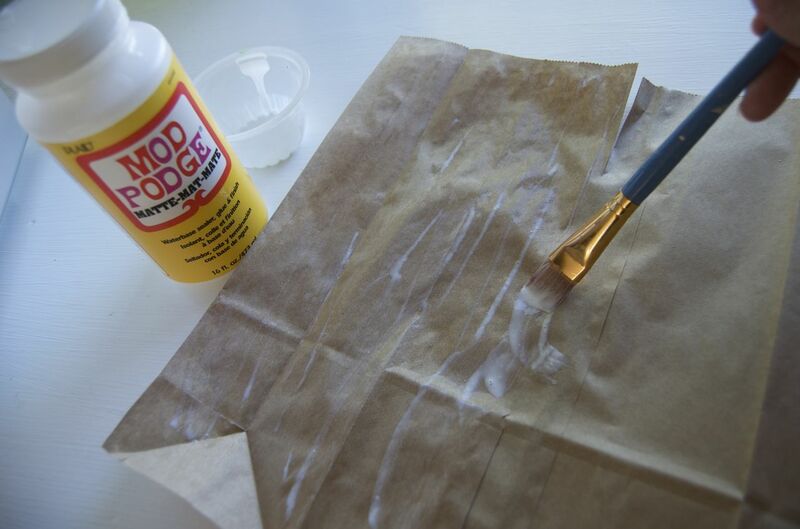 Let the Mod Podge dry. You can snip the roots and branches with scissors if you want them a bit shorter. 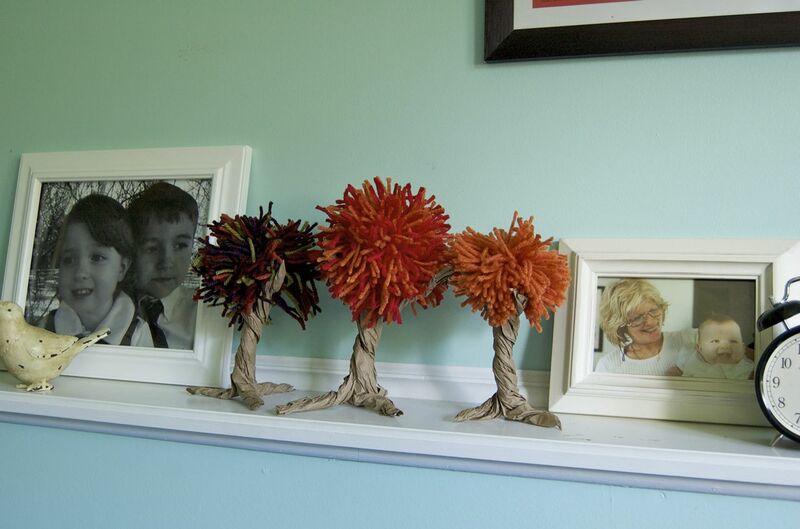 Plop some yarn pom poms into the trees. 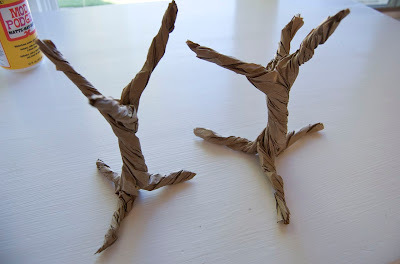 Add a dab of Mod Podge on the branches to hold them in place. And then photograph them all over your house.